As fall quickly approaches (as well as my big move to London), I have had coats and jackets on the brain. I know that the middle of September/ beginning of October means that a jacket is going to be an outfit staple. With that in mind, I have been searching for one that is not too expensive, will be able to transition into winter nicely, and something that can be worn day to day-- meaning no patterns, not too wacky of a color and still be trendy, that sort of thing. These are my top five options thus far. 2. BB Dakota Danton Coat - Like I said, black and white and grey all over, clearly this would be a favorite of mine. 3. 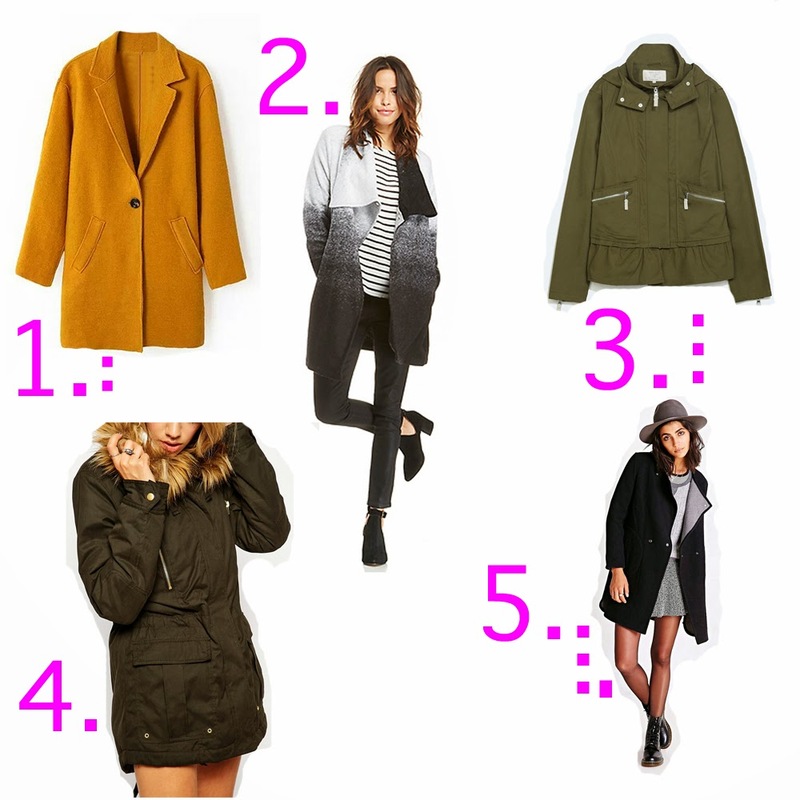 Flounce Hem Parka - I thought this one was flirty and cute and had the ability to be versatile. Though, if I want it to have the ability to transition into winter, I think I want something a little bit longer-- gotta keep that booty warm, too. 4. ASOS Ultimate Parka - Right now this is the clear winner for me. It hits mid thigh, it has a drawstring that can give you a defined waist, don't want to be looking like a khaki marshmallow, and it has a hood to block whatever the sky throws at you. 5. BB Dakota Bevan Coat - This one is one of my favorites, black with grey lining just does it for me. I will be sure to keep you updates on my purchases, because this clearly is a big decision.